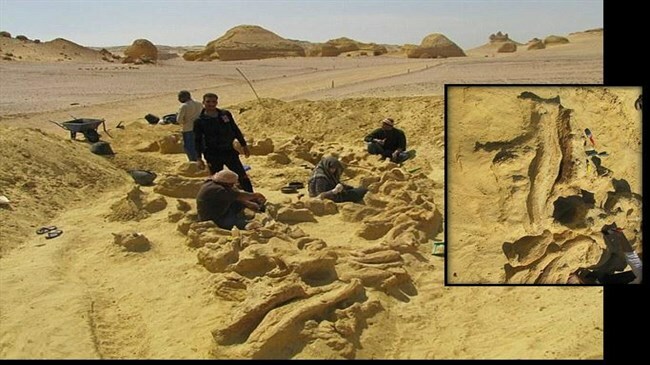 A Russian nesting doll of marine fossils has been uncovered in Egypt’s Valley of the Whales: a prehistoric whale ate a smaller whale, and then they were both devoured by a massive shark. The larger whale, Basilosaurus, grew up to 65 feet, and is believed to be the largest known ocean animal from the Late Eocene Period, approximately 35 million years ago. It appears that the large Basilosaurus ate a smaller Basilosaurus — although researchers haven’t ruled out the possibility that the smaller whale could be a fetus. Based on shark teeth found in close proximity to the two whales’ remains, paleontologists believe that a giant shark then feasted on the two whales. The Valley of Whales is home to numerous fossilized whale remains. 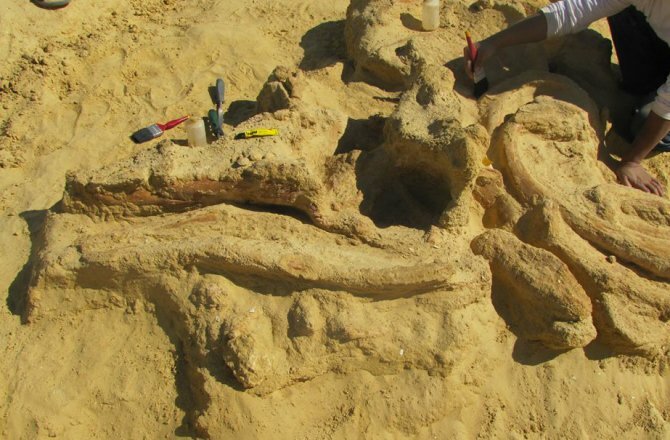 Since the Unesco World Heritage Site’s discovery in 1902, 10 prehistoric whales have been identified, although this find marks the first complete Basilosaurus discovery.